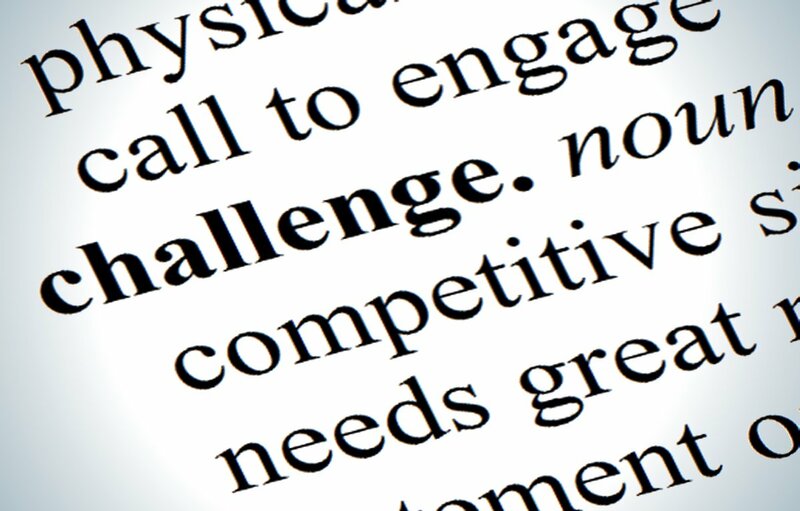 Gaining a competitive advantage is key in the ever-changing business world of today. ‘How do we get more business?’ is the continuous question. With product life cycles shrinking, customers becoming more sophisticated and demanding, and tougher local or global competitors emerging in most markets, those markets are shifting at faster rates than ever. The payoff for getting your company’s pricing strategy right has never been more important. As you move into 2016 and begin taking stock of your business plans for the rest of the year, it’s important to make sure you are considering all areas where you might improve. Ask yourself this question: how often did you think about your pricing in 2015? No company wants to leave money on the table and so obtaining the optimum price has always been vital. Pricing is a huge lever for your business, and even small improvements will pay dividends quickly. Recognizing that one does, in fact, have pricing flexibility opens huge opportunities for improving profitable growth. Many B2B executives understand that pricing has a more powerful impact on the bottom line than other means such as gaining market share or reducing costs. Yet, while companies dedicate ample resources to reducing costs or selling greater volumes, they rarely invest to the same extent in their pricing capabilities. As a result, they leave money on the table and leave the door open for competitors that understand better the power of effective pricing. Pricing has long been challenging for B2B companies. What’s more, recent developments have sparked greater urgency for companies to get their pricing right. Purchasing departments have become more aggressive and sophisticated, and in many cases are expanding the spending categories they manage. Also, it’s relatively easy for your potential buyers to get price information through an Internet search, which can knock out a supplier from consideration before it has the chance to start a conversation. Innovative digital competitors, meanwhile, are disrupting traditional pricing norms. In this more fluid environment, companies are hard-pressed to capture the full value of their products and services. Doing so requires a holistic approach that accounts for external factors, such as the behaviour of customers and competitors, as well as internal factors, such as costs, processes and IT systems. How much will your customers' be willing to pay? Testing the price acceptability of a product or service in comparison to the competition is the main principle of any pricing research. This aspect needs to be carefully considered in B2B markets because the rules differ considerably according to whether the product is a commodity or manufactured. Speculation about a shortage of the commodity may have a dramatic effect on price. As the commodity becomes processed it gains value, and the sophistication of the processing method enables a premium price to be charged. As the design element of a product increases and the value of the raw material becomes less important, so pricing becomes more complex. A buyer will also attribute a value to after sales service, reliable/speedy delivery, quality, longevity as well as the brand. A strong brand gives the buyer confidence and enables companies to command a premium price even if the products are similar to the competition. The link between prices charged and volumes sold is easy to understand; the difficulty arises when the question is asked : 'with an X% price increase, how much will it affect our sales?' A price increase may result in a customer's reduced consumption, switching to a substitute product or a halt to buying your product altogether. On the flip side your company may be missing the chance to gain additional profit through charging more - it is all down to customers’ value perceptions and what they will pay. Pricing research can be used to obtain an understanding of the pricing levels for specific product/service offerings. It can also be used to attain an understanding of the additional services customers subscribe to and what additional price they would pay, to identify the elasticity of demand for a product or service and to establish where customers would welcome an improvement in either products or services offered and what premium they would pay for those improvements. Research will also discover what the opportunities are for up-selling (obtaining more value for the products and services) and where there are un-met needs that a company could exploit by making a more attractive offer. Are there any past indicators of what has happened to sales figures when prices have changed in the past? Historical data can give useful clues but needs to be handled cautiously. It is vital when looking at past pricing data that awareness and knowledge of the competition’s past pricing strategies is also available. Do you fully understand your value? If you’re unable to understand what your company’s value is, how will you be able to communicate your value to your customers? The best value metrics ensure that your customers are paying for your product according to the benefits they receive from it. Make sure you are pricing based on the value metrics that your customers truly care about and that make sense to them. Recognize that value and value perceptions are constantly changing. In ever-changing markets, a customer’s value perception today may drastically change tomorrow. Consequently, constantly re-evaluate your value. Identify people who really care about value. Value is worth, worth is money, and money is time. Don’t waste your money talking value with someone who isn’t worth your time. Communicate your value. Relating your value proposition effectively to your customer is a direct line to your customer’s purchase. Capture your value through price. Value pricing is about negotiating an equitable share of the additional value that you can deliver over and above competitors. Capturing your value through price ties it all together. In the B2B market, the importance of using a correct value metric cannot be overstated. Do you use a “set it and forget it” pricing strategy? Most companies focus their efforts on product development and marketing and treat pricing as an afterthought. Marketing, pricing, and product development must work together for any B2B business to succeed; if one of the three links is weak, the entire chain may break. Developing a great product and increasing market awareness is undoubtedly important, but one could argue that pricing has an even larger impact on the success of your business - nothing impacts customer purchasing decisions more, and no other area of your business can be changed and produce positive results as quickly as pricing. Don't treat pricing as an afterthought, but instead as a core competency of your business. Pricing is a process that must be continually tested and re-evaluated to determine the proper mix of packages and prices that appeal to your customers. Are you failing to experiment with your pricing? Even companies that regularly review their pricing often don't experiment to figure out what their customers want, and what they're willing to pay. A/B Testing should be a part of every B2B company’s pricing arsenal. It allows a company to evaluate multiple pricing options before settling on a final strategy that combines the best aspects of each tested option. A/B testing allows you to test the performance of multiple strategies to see which aspects of each perform well. This can help your business understand the optimal mix of product features and prices that appeal to your customers. A lot of companies make the mistake of assigning pricing tiers to their "ideal" customers developed from market research. While this is better than simply guessing, it still leaves you with an incomplete picture of who your potential customers are, what they want, and, most importantly, what they’re willing to pay. Develop new 'personas' for pricing purposes that take into consideration feature preferences and willingness to pay. This product-specific information will allow you to develop multiple, feature differentiated pricing tiers that appeal to the different types of customers interested in your product. Here you are taking into account customer demographics, behaviour patters, motivations and goals – the more detailed the better. Do you provide too many (or too few) pricing options? Every company should strive to simplify its pricing data to make it easy to understand. Some businesses make the mistake of providing too many pricing options, while others make the mistake of providing too few. Charging one price for your product (although simpler) is almost always inadvisable as it leaves no room for your customers to upgrade and captures revenue at only one point along the demand curve. Realign the number of pricing options you offer using the 'Goldilocks theory' - not too many, not too few but just right! How do you know what this is? Ideally, you want one pricing option per pricing persona – see 5 above. Are you offering unnecessary discounts? You naturally want to increase customer satisfaction, but discounting just for renewals is a dangerous practice that sets a bad precedent. You condition your customers to expect discounts, and this conditioning is very difficult to reverse. There are of course times when offering discounts can be mutually beneficial – when you are offered cash up front for instance. Your customer will probably interact with your product more often and for a longer period of time, improving customer loyalty. Discounts for wholesalers and other distribution channel partners can have a critical role in motivating them but such processes could be managed far more effectively. When discounts and promotions proliferate, suppliers lose control. Various discounts – e.g. volume, minimum level of spending, new account, product and geography-specific might make sense in isolation. However, this sometimes allows partners and customers to qualify for a price that’s below cost. These complex discounts can begin to stack up and it becomes hard to know whether a particular deal will be profitable. A finite number of major incentives for channel partners. Performance-related discounts balancing revenue growth and margins. If a channel partner finds new customers who meet the right parameters, it receives a particular discount. This is more effective than demographic discounts that reward partners for finding customers above a certain size or in a high-growth industry. Does your Salesforce have enough pricing information? When the sales team has a broad mandate without clear discipline, profits leak out of the enterprise. Your salesforce needs the flexibility to negotiate, but the typical approaches companies take can undercut effective pricing. Equip the salesforce with business intelligence to make smarter pricing decisions, and install a clear, fast process for decisions that need approval. The salesforce should be armed with statistically based guidance on how to price deals, factoring in deal characteristics that emerge as bids are developed. Pricing is important enough to warrant a true owner who can provide a company-wide perspective on pricing trade-offs, even if the final decision rests with product and market leads. The practical challenges demand a pricing professional who can co-ordinate all the information from many departments into a coherent whole. Commissions, bonuses and other forms of compensation should be redesigned to promote discounting that benefits your company’s long-term economics, not short-term volume gains. Some customers may not be meeting contractual obligations for volume discounts. Re-price them for the actual volume they purchase. Look for record-keeping or accounting errors that are causing you to undercharge. If you charge a premium for value-added services, such as next day delivery or special orders, there may be customers that use the services without consistently being charged. Make sure all customers pay for services received. Identify customers that are not being served by the factory or distribution centre with the most advantageous location from a profitability standpoint. Switch them to the best location. Comb through your catalogue/price list to identify those items that serve exactly the same function or meet the same need, yet are priced differently. Either increase the price of the cheaper item or discontinue it. Incorrect pricing is costing B2B companies millions, if not billions, of pounds in recurring revenue each year. Set yourself and your company up for success by rising to the challenges that pricing poses - sooner rather than later. There is no 'holy grail' solution to pricing strategy that will fix all of your problems in one go. Recognize mistakes and meet them head on by collecting data from customers, utilizing A/B testing, and pooling the most successful aspects of tested strategies to build the final strategy that is right for your business - then revisit that strategy often to fine-tune it as your business and your customers grow and evolve.